If you are one of the few men who ditched the idea of wearing a wristwatch thanks to the smartphones or smart watches, then it would be the right time to shift to the evergreen pocket watch. And, there is definitely no doubt that it takes a man of style to carry a pocket watch with conviction. ‘Still’ available in a wide variety, we have today compiled a list of 10 pocket watches that will surely grab the attention of the onlooker. 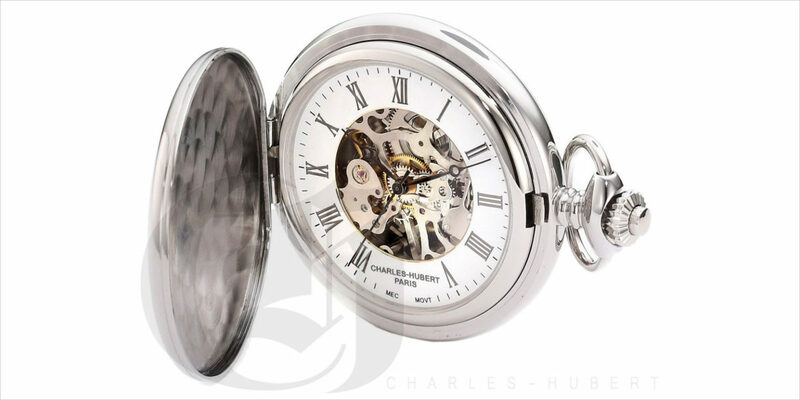 Carries Hughes Retro Mechanical Pocket Watch is designed with a skeleton top design and a beautiful black glass that will match well with almost all your shirt and pants. This collectable coin pocket watch features a Kennedy half dollar coin dial with rose gold alloy chain. The pocket watch is sleek and a great timekeeping accessory. 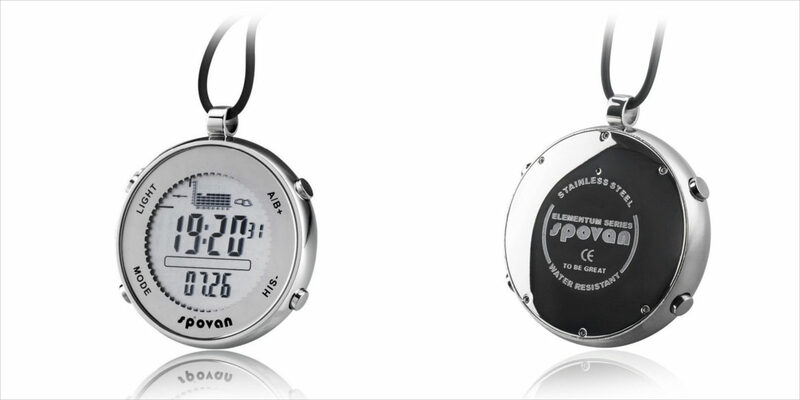 This Peleus Tech Spovan SPV600 pocket watch is part stopwatch and part fishing watch. Along with providing a clear digital time readout, it also has a barometer, altimeter, thermometer, weather forecast, fishing location and air pressure tracking, and smart fishing time notification. 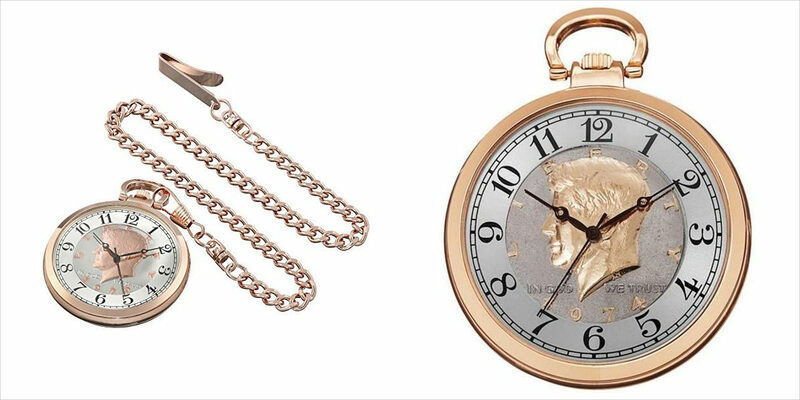 If you are looking for a style that is simple and doesn’t cover your pocket watch with a lid, this gold pocket watch allows you to peek through the clock face duplicated on the top. The golden antique cover is perfectly complemented with a complex 17-jewel mechanical movement, cobalt hands and a beautifully designed rear cover. 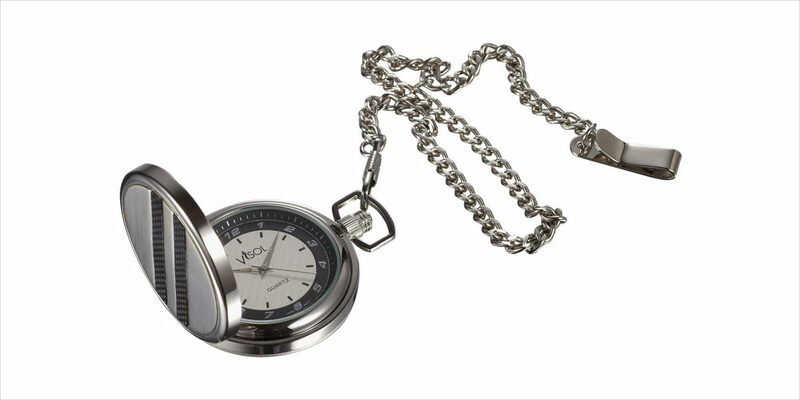 Carrying a brushed stainless steel feel and carbon fibre accents, this Visol Turbo white carbon fibre pocket watch carries a contemporary design which will make as an ideal gift for groomsmen, Best Man, father of the bride, anniversaries, etc. A Swiss-made pocket watch, Bernex carries the timeless look and minimalist design. 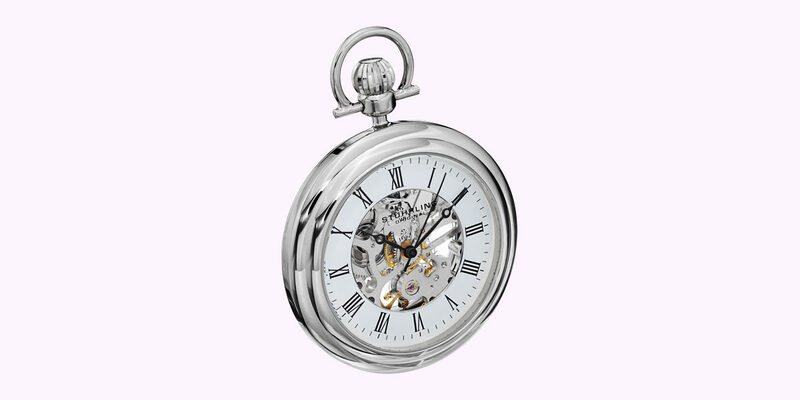 With modern engraving, the pocket watch can be passed down from one generation to the next. The white background is accentuated with black markings, Roman numerals and square date window at the 3 o’clock position. The 3918 comes in a stainless steel case that resists discoloration and an open face skeleton dial that displays the intricate mechanical movement. The cover also lets you get your initials engraved making the pocket watch personal and unique. This Skeleton Moonphase pocket watch carries a simple exterior but complex interiors. The ornate dial shows off the movement while also providing a moonphase subdial at the 6 o’clock position and Roman numerals around the edge of the dial. 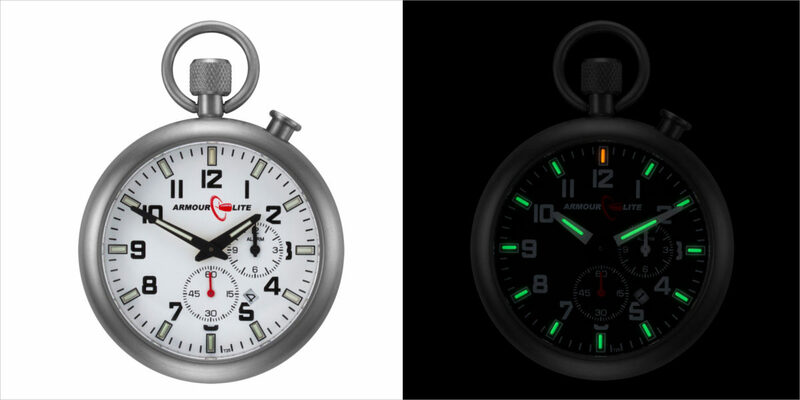 Made from solid stainless steel and coated with anti-reflective sapphire crystal, the pocket watch also has a super-bright tritium self-illuminating line for ample amount of visibility in the low lighting conditions. 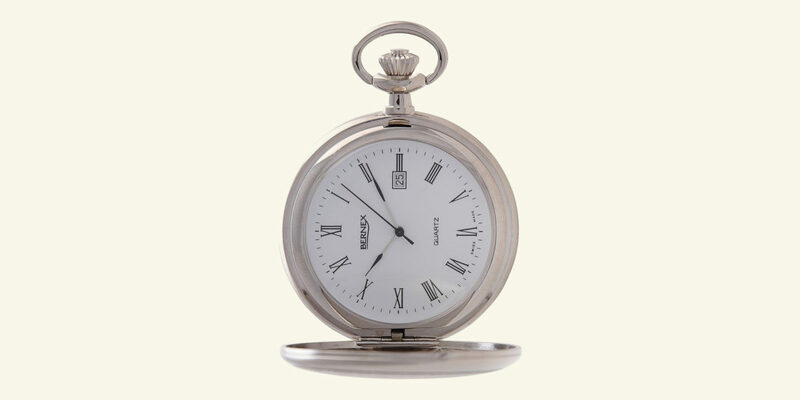 The battery of the pocket watch lasts for a period of complete 60 months. This pocket watch by Stuhrling carries an old school look that comes with a white skeleton dial, protective crystal and a handy chain with the necessary belt clip. Casual or intricate, choose the design that complements your style and bring an edge to your outfits.